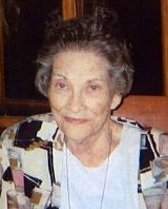 Margaret Sue Graham, 79, passed away on Wednesday October 21, 2015 at Park View Nursing Home in Big Spring with her daughter Lori at her side. A graveside service will be held at Tuscola Cemetery on October 24, 2015 at 2:00 p.m. officiated by Jimmy Wylie, directed by Fry~Smith Funeral Home, Tuscola. Visitation will be held at the funeral home Saturday afternoon of October 24, 2015 at 12:00 p.m. Sue was born September 11, 1936 in Valera, Texas to Claude and Florence (Snider) Davis. She was the sister of two brothers, Robert and Lester Davis. She married her high school sweetheart Tommy Graham on July 1, 1956 in Tuscola. They were members of the First Baptist Church of Tuscola. Tommy went on to pursue a 30 year career as a truck driver for Mrs. Baird's Bakery after a brief period in the Army. Tommy and Sue spent many years raising wheat and maize in the Tuscola area. Sue was a homemaker and enjoyed cooking, sewing, crochet, and took pride in her yard work. Sue and Tommy rarely missed school events. She is survived by her daughter, Lori Barbee and her husband Neal of Big Spring; brother Robert Davis and his wife Carolyn of Abilene; sister-in-law Betty of Andrews; granddaughter Rachel Barbee of Canyon; grandson Devin Barbee of Big Spring. She is proceeded in death by her parents; her husband Tommy Graham (dec. 1998); son Andy.